If you are seeking the finest condo living Miami has to offer I have two words for you: Millionaire’s Row. Located mid-beach, north of 17th Street, Millionaire’s Row is a stretch of Miami that is dotted with some of the city’s most luxurious real estate – and amenities to match. 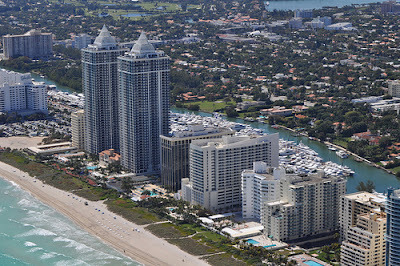 Between North Beach and South Beach, “ideal” seems an understatement to describe the location of this high-end enclave. “Convenient” is apt as well, for the area’s proximity to fabulous shopping and dining. Then there are, of course, the crystal-white sand beaches, less crowded than those of South Beach. Locals enjoy the boardwalk, whether for jogs, leisurely strolls at sunset or people-watching. Elephants on Miami Beach? Back when the area was accessible to the mainland only by ferry, a gentleman by the name of John Collins came up with the brilliant idea of constructing a bridge between the two. As bad luck would have it, however, he ran out of money before the project was complete. With the help of the now-famous Carl Fisher, the money flowed once again and Collins’ dream-bridge was completed. While it no longer exists, the Venetian Causeway follows its route. Collins also acquired several parcels of land and used elephants to clear the mangroves and swamps. He installed roads and built coral-rock homes. Fisher and Collins worked hard promoting the area to wealthy northerners, touting the climate and the area’s beaches. By the end of 1923, Fisher had sold $6 million worth of area real estate, according to Absolutely Florida. This high-end tropical escape proved an irresistible magnet to the rich and famous, not only as a vacation destination, but as a part-time home as well. In fact, some of the luxurious summer homes they built are still in existence today. 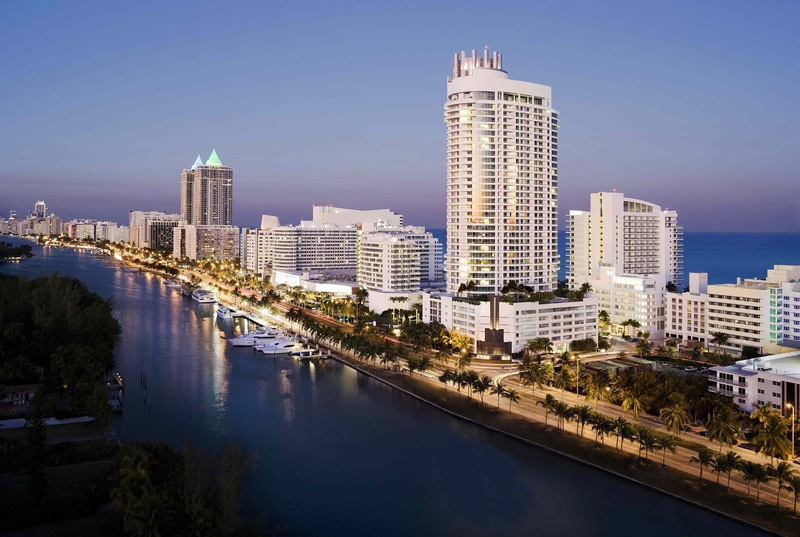 While South Beach offers far more of a party atmosphere, you’ll find Millionaire’s Row a bit more sedate and refined. 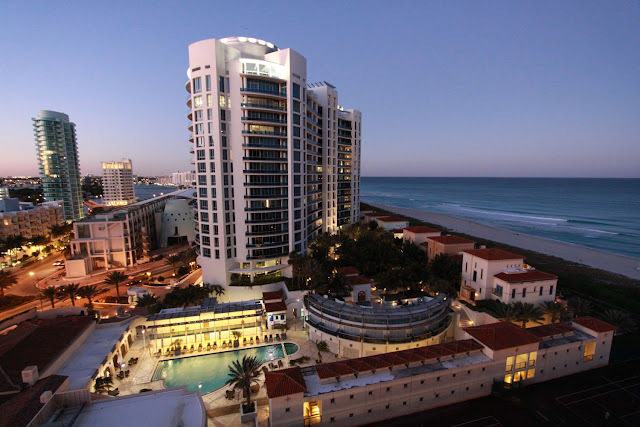 Despite this, mid-beach does offer the amazing Fontainebleau Miami Beach Resort with a nightclub and eight restaurants. Eden Roc, next door, features three infinity-edge pools plus an adult-only swimming pool. Pricey, luxurious, with an abundance of high-end amenities is what you’ll find when you decide to look at homes in Millionaire’s Row. Let’s take a look at some of the more desirable condo buildings in the area. Priced from $499,000 to $2.25 million, Mei Miami Beach offers one, two and three bedroom homes with up to three bathrooms. Condos at Mei Miami Beach remain on the market an average of 128 days, with an average sales price of $1,163,667. The average price-per-square foot paid during the first half of 2012 is $658. No discussion of Millionaire’s Row is complete without mention of The Bath Club, one of the area’s most popular and prestigious addresses. Located at 5959 Collins Avenue, The Bath Club is not only an amazing place to live, it’s steeped in history as well. The villas at The Bath Club feature frescoes on the ceilings in the master bedrooms and imported marble floors throughout. With eight floor plans from which to choose, homes range in size from a bit over 1,900 square feet to 4,135 square feet. Technically, homes at The Bath Club remain on the market an average of 160 days. Included in this determination, however, is one home that was on the market for over 400 days. When that one is removed, the days-on-the-market figure is a quick 75 days. The average sales price of a Bath Club home is $3,025,000, or $824.75 per square foot. Current prices run from $1,125,000 to just under $10 million. Typically mentioned in the same breath, the Blue Diamond and the Green Diamond actually stand adjacent to one another. With direct ocean, bay and city views, both diamonds are mid-beach gems. Choose from among eight floor plans with one through three bedrooms. Current prices at Green Diamond range from $560,000 to $1,650,000. At Blue Diamond, you can choose from among residences that range in price from $590,000 to $2,175,000.